In a fascinating new book by Susan Cain, Quiet: The Power of Introverts in a World That Can’t Stop Talking, two different work styles are pit starkly against each other: on one side, we have the pro-collaboration camp, and on the other the more inward-looking solitude-is-good supporters. This debate on the best type of work style has important implications for various models of coworking. 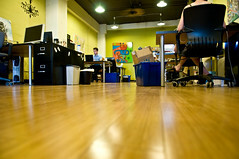 Coworking advocates have always prided themselves on the values of collaboration. It is the movement's mantra. The coworking revolution itself sits at the heart of a general shift toward a sharing and collaborative economy that encompasses household names like AirBnb, Zipcar, and TaskRabbit. As advancements in connectivity, computing technology, and cloud-based tools make it easier than ever to work anywhere we want, it’s important to re-visit the basic question: What’s the optimum way to work and why? Small businesses, freelancers, and startups all have a choice of working at their various ‘digital offices’ from local coffee shops and Jellies to coworking spaces. Is coworking still a good option for workers? Do the usual pros and cons of coworking still hold water? Another example illustrating the success of group work can be found on the corporate floor. Google is the classic case study. Many of Google’s flagship products— Gmail and Google News— were dreamt up and developed by informal groups that got together. Google has since deployed “grouplets” for initiatives that cover broader changes throughout the organization. One remarkable story of a successful Google grouplet involved getting engineers to write their own testing code to reduce the incidence of bugs in software code. The intrepid grouplet even came up with a creative campaign based on posting episodes discussing new and interesting testing techniques on the bathroom stalls. “Testing on the Toilet” spread fast. The campaign ultimately developed enough momentum to become a de facto part of the coding culture. Throughout history there are innumerable examples of great artists, scientists, and thinkers who came up with groundbreaking ideas after long bouts of consultation with others. Einstein’s most famous contribution to science, his theory of relativity, may have benefitted from just this dynamic. After years of grappling with his theories, a frustrated Einstein experienced an epiphany after long conversations with his longtime mathematician friend, Marcel Grossman. Grossman convinced Einstein to consider an altogether new mathematical framework drawn from geometry and differential calculus to elucidate his theories. Based on a tip from Grossman, Einstein looked up the work of another mathematician, Bernhard Riemann, who specialized in geometry. Einstein read everything he could by Riemann, which ultimately unlocked his theory of relativity. Einstein struggled to find the right mathematical language to capture his ideas; Riemann’s work gave him the vocabulary he needed to express his ideas. In coworking, this kind of experience is called “accelerated serendipity”— a chance connection or conversation with other people that unblocks or illuminates a problem. Sometimes, all you need is just the right momentum or little clues that others can provide to reach that unexpected insight that will change your business for the better. And so—the coworking logic goes— if increasing interaction among different peer groups can lead to promising results, imagine the possibilities for solopreneurs, small businesses, and indie workers— if only they could reach similar levels of peer access. It is this potential that coworking tries to capture for its members. With the group, “All of a sudden, you feel as if your mind has grown wings,” says one San Francisco-based coworker I know. Instead of focusing down blind alleys, you find people who can shine a light down corners obscured to you. As a result, you spend more time and energy targeting problems where you have comparative advantage. In the best scenario of creative collaboration, ideas we couldn’t have developed further on our own acquire new life in the company of others. Others take your idea, which may have fully matured in your hands alone, and generate new ideas or new leads that enhance and build on your own thinking. It’s almost like a rolling ball that gathers bits and pieces as it moves, getting bigger, and scaling up. Going it alone: The case for the solo spirit. And yet, as Susan Cain’s book shows, there is evidence that draws these pat conclusions into question. It made me wonder: Maybe, there’s more to toiling in solitude, away from teamwork and brainstorming, than coworking advocates (myself included) would like to admit. She cites a study where psychologists found many workers unhappy with open floor plans, with no dividers and very little personal space. In this workplace design, people felt more like crammed battery hens in an industrial coop, rather than an enlightened group of collaborators. Giving people places to hide actually made them more productive, the study concluded. People were happier away from distractions and needless interruptions, and less stressed as a result of having the ‘quiet’ zones to concentrate. There are also numerous studies and cases that show that group-focused brainstorming sessions can actually backfire or hinder real creative thinking. When we’re in groups presenting a new idea, we might defer too quickly to other people who disagree with us. People succumb to peer pressure, or we let the more dominant, charismatic members of the group take over and dictate an agenda. This phenomenon is dubbed ‘Groupthink’. So what implications does this have for coworking? Is collaboration good for us after all? Or does it just lead to groupthink? In the coworking movement, I think we all want to say, “Collaboration is the best way” too quickly, and there is value in taking pause and considering what it means for coworking spaces in how they are designed and how they attract people to join their space— especially those quiet types who happen to be spectacularly creative, too. And yet, think about what the company would be without the collaboration of these two very different figures? They were coworking, after all. #1 Make sure the space you join offers private rooms that even casual coworkers can access when they need that moment of solitude. Thinkspace in Redmond, WA offers a hybrid model of coworking for those looking for the best of both worlds— the openness of a coworking space with the privacy of an office. Spaces like Satellite Telework Centers in Northern California attract a different type of coworker— one who may not be looking for outright collaborative relationships within spaces but who wants the opportunity to network. Jim insists that it’s all about providing options. This means offering a muted collectivist buzz for prospective members. “Some people want more privacy, so the farther into the space you go, the more privacy you have via screens and cabinets mounted on the cubicle walls. Our goal was to make it as effortless as possible for someone to walk in, select a workspace, and get to work,” he says. #2 Observe when there are downtimes and busy periods, and plan accordingly. #3 Go for casual interaction, not structured socialization. Brownbag lunches, Meetups with fellow coworkers, and scheduled lectures and talks are other opportunities to be social in measured doses with your fellow members. Ultimately, coworking lets us indulge two very human impulses: our craving for privacy, and our need to be around other people. Coworking may actually be the happy middle ground— letting fiercely independent freelancers, startups, and telecommuters socialize with other people in a low-key way— and at the same time providing a sacred space to get back to work. 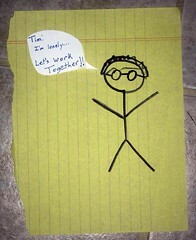 As a popular coworking slogan goes, “Working independently...together”.